Hello there little fellas. Won’t you join us in the basement? 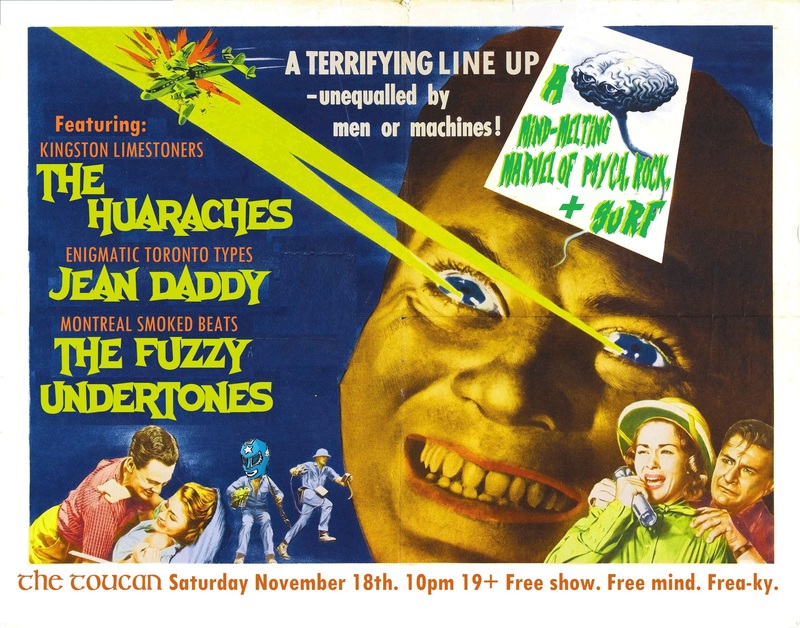 The Huaraches, and our very special friends from Toronto, Jean Daddy, and Montreal, The Fuzzy Undertones, have all sorts of fun in store for you. Bring your friends. FREE show at the Toucan.